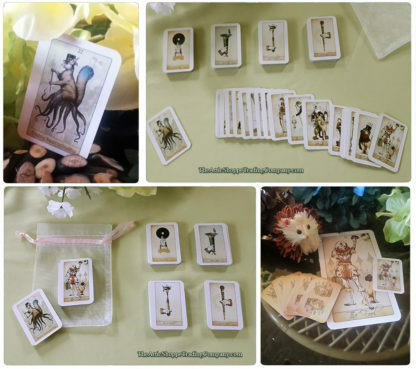 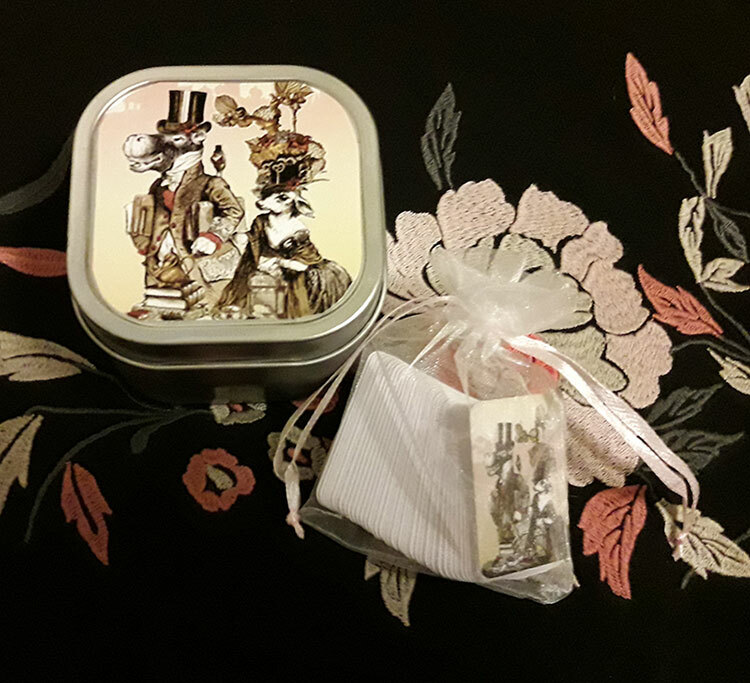 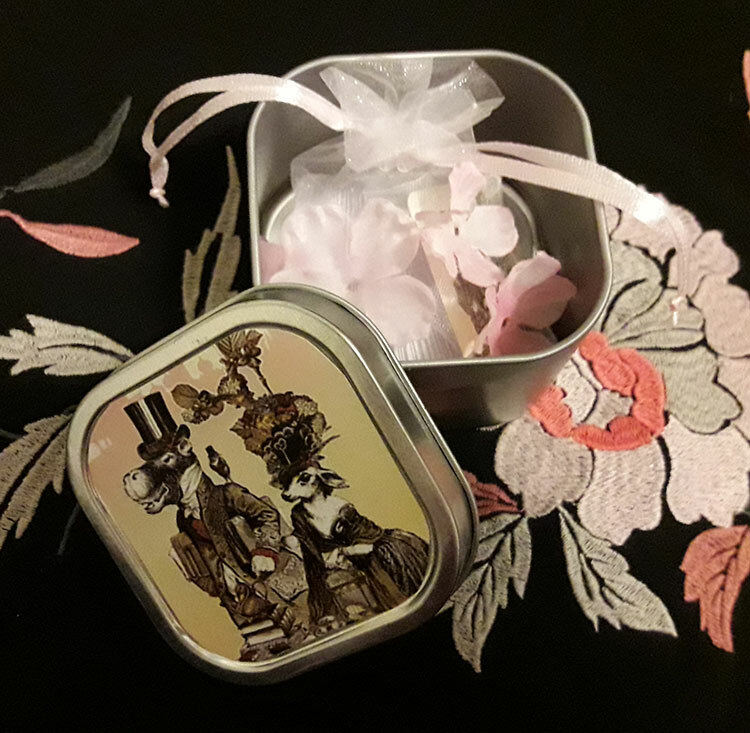 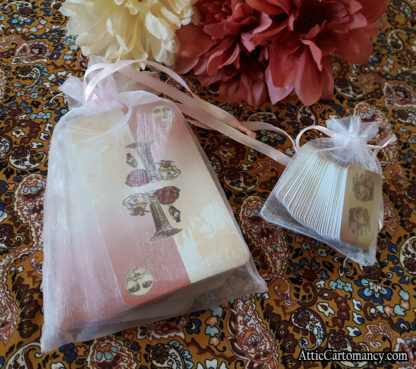 The Isidore Doll Size Tarot – The Attic Shoppe Trading Co.
Do you like neat things that come in neat little packages? 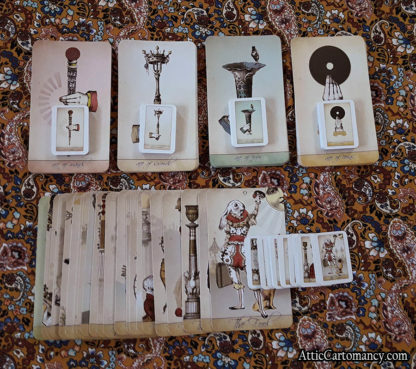 Especially those things tarot related? Then perhaps you’ll be interested in our Isidore Doll Size Tarot deck! 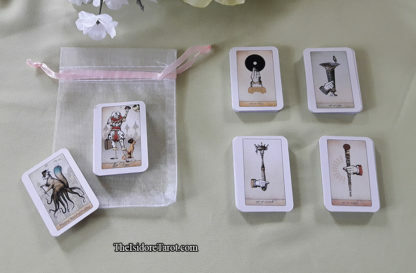 This deck is small enough to fit in your pocket, purse, clutch, fanny pack, back pocket, back of your broom, or whatever the heck you use to travel with your mobile things. 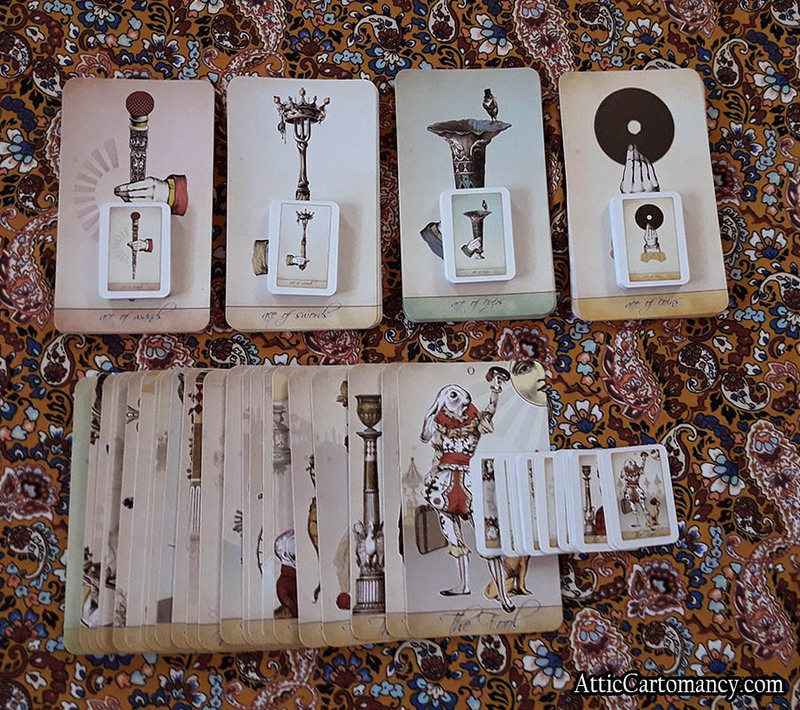 Scroll for details. 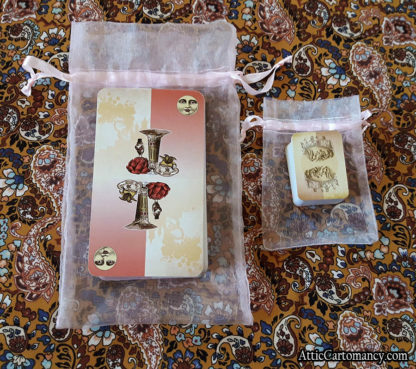 THIS EDITION: This tiny size deck is based on the second edition of the Isidore Tarot, which has white borders around the artwork. 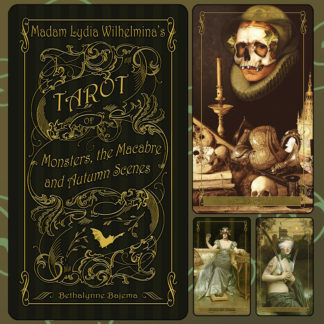 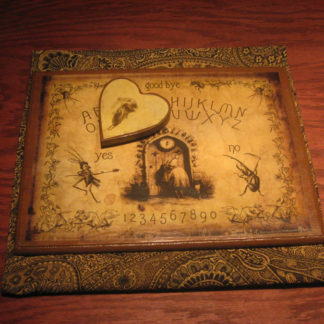 It features the complete Isidore deck. 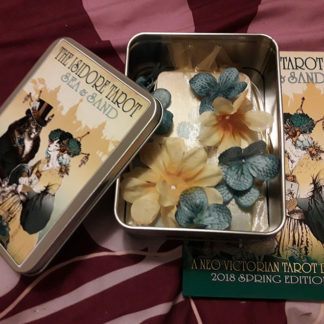 This listing is just for the deck itself, but you can add a companion book to your order that features the matching second edition cover artwork.